Kiwi fruit and pineapple, durian and sappy aromas hit the nose first at a medium-high intensity. This blends in with a pine character and some honey-like sweetness. There’s a slight citrus and resinous element to it as well. Some grainy malt character with a hint of alcohol. Pours a deep yellow, almost gold colored liquid. Small and fine bubble compose a dense head that lasts with great retention. Clarity is great, but does have some suspended floating particles. Pineapple and resinous flavors pop with a medium-high intensity. This is followed by a lesser pine character and some melon. A bit of grainy malt comes out in the mid palate, with a touch of honey (light) sweetness. Moderate-high bitterness. The beer is dry with its balance completely towards the hops. On the finish, a bit of a skunky (weed, not light struck), and BO character peaks out. This fades away with the beer quickly and quietly, leaving a slight fruity taste in the mouth, with no lingering bitterness. Maybe a slight soapy character as it warms. Moderate carbonation. Medium bodied, but lightens towards the finish. No astringency, and a slight warming in the back of the mouth. Surprisingly soft on the finish. This is a good IPA. It has a pretty unique hop profile to it. The flavor falls off at a really quick pace, to an extremely soft finish. I’d like there to be some bitterness accentuated sharpness to the finish, and for the flavors to last, and linger slightly. The BO/skunky/durian character on this is a bit too high for the intensity of the other hop character. Subbing one of the hops in this for a traditional C-hop would probably work well to fix that. It’s cool to see Real Ale mixing up some of their packaging formats lately. 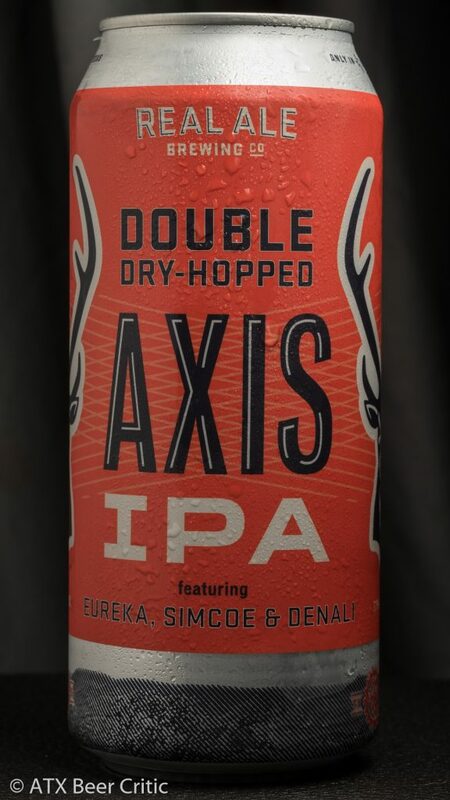 While this is a drinkable IPA, I’m not finding it as enjoyable as the original Axis. At almost double the price point, I’m glad I only overpaid for a single. It’ll be curious to see if they’ll continue down this series and try some other hop blends. Greenhouse IPA from Hops & Grain was one of my favorite rotating IPAs here in Austin a few years ago, and I’d like to see someone local pick up the slack (Tupps has been doing a good job of this). 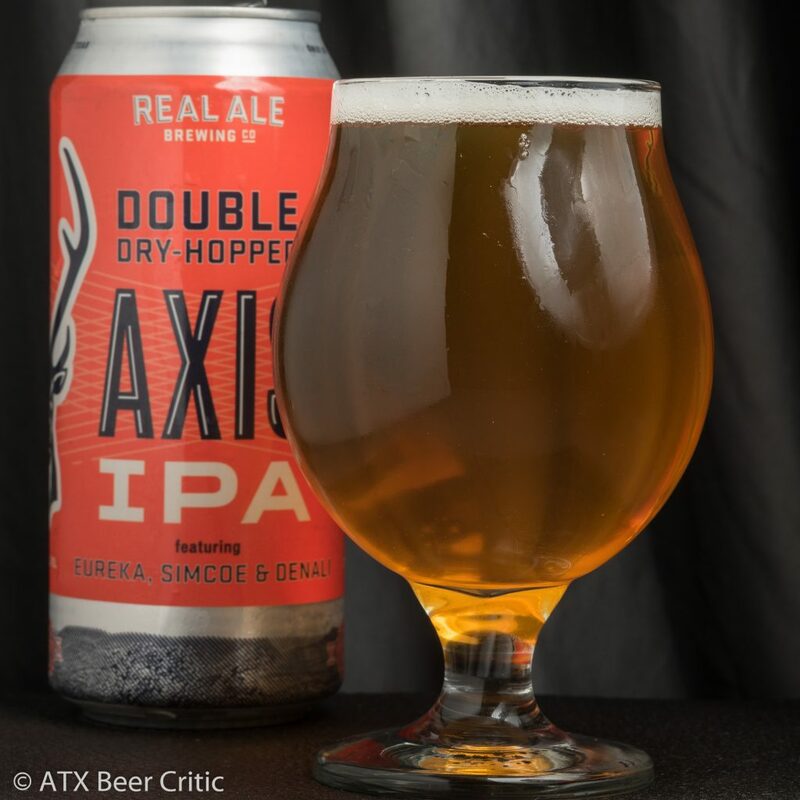 Posted in Beer ReviewTagged 21A, IPA, Real Ale Brewing Co.